Unique in form, the Pembroke collection features a concave arm design for a distinct appearance. 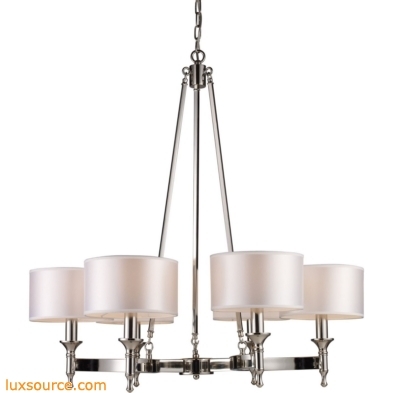 Light silver drum shades and a polished nickel finish add to the ambiance. 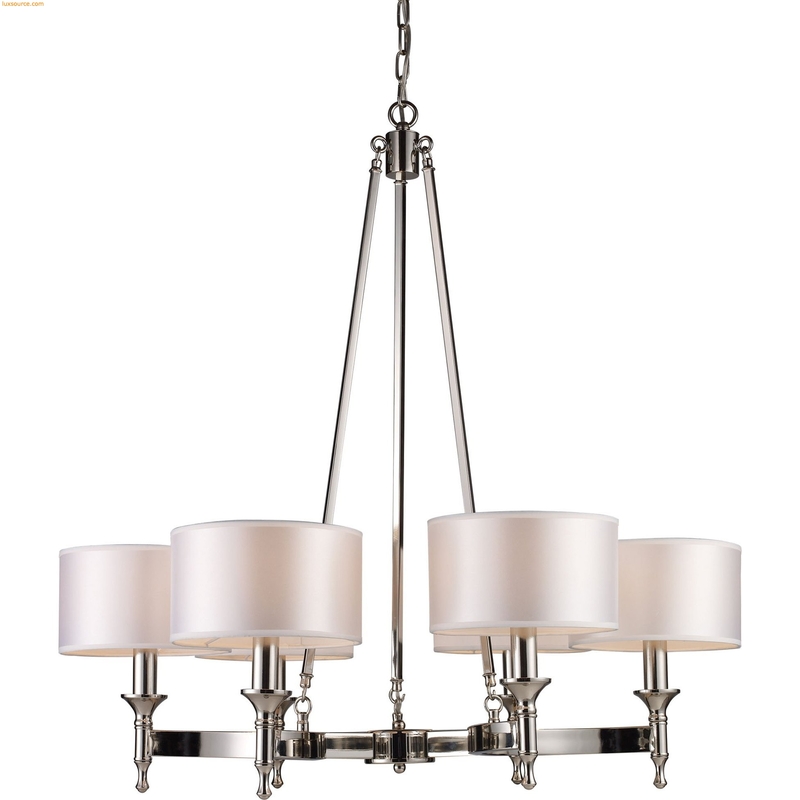 Finish Detail: Polished Nickel. Material: Metal,Fabric.